Pioneer now sells their own lightning cable. The CD-IU52 cable (USB to lightning) is like any other lightning cable but looks sturdy, is black in color, and thick. The cable is 1.80 ft in length and has a suggested retail price of $35 according to Pioneer. But you can get the cable for much lower from Amazon and other retailers. The automotive grade CD-IU52 can only be used for an audio connection and for charging your iPhone. A USB to lightning cable will be needed by NEX receiver users who will be using CarPlay (when available). 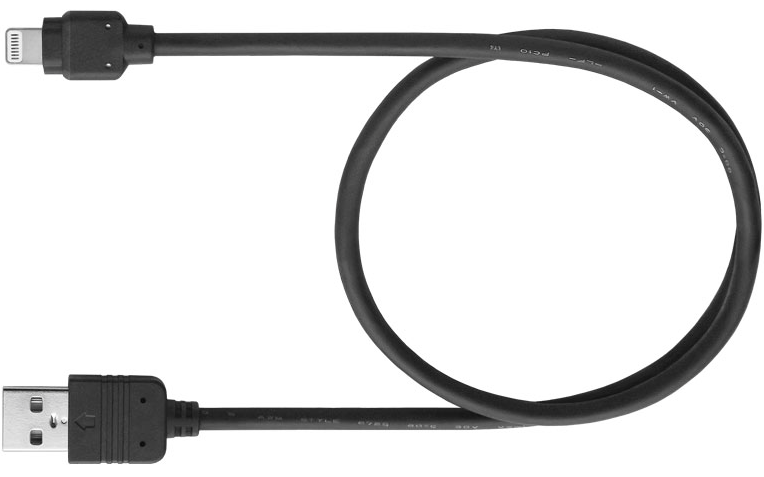 To use CarPlay, users will have to connect a compatible iPhone to the USB port on the NEX receiver using the CD-IU52 cable (or equivalent). Best Buy Marketplace also lists the cable for sale at $26.99 with free shipping. The item is sold by IT Wholesalers. Sales tax is added in certain states. To use AppRadio Mode on a NEX receiver or any other AppRadio Mode enabled head unit, you will still have to use an HDMI cable with an Apple lightning digital AV adapter. The CD-IU52 can be used in this setup only to charge the iPhone.